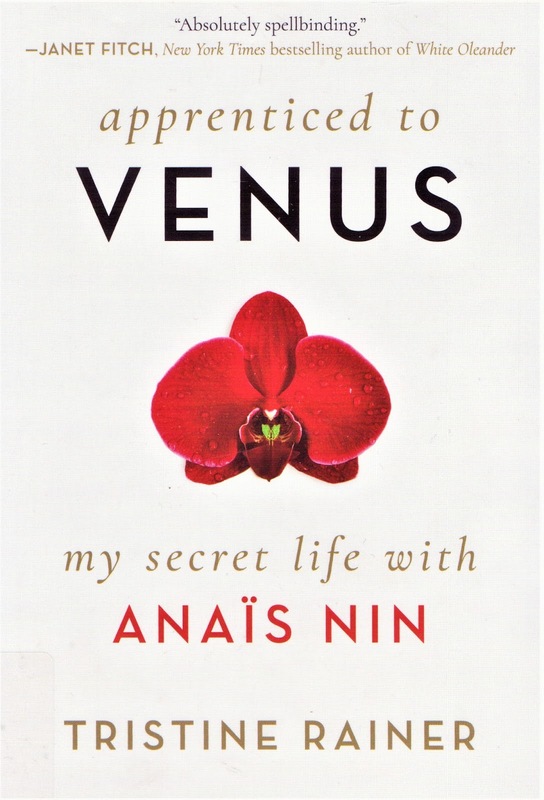 Tristine Rainer, Apprenticed to Venus: My Secret Life with Anaïs Nin. New York: Arcade Publishing, 2017. An insightful and entertaining journey, focusing on the period from the early 1960s until Nin's death in 1977. We learn a lot about Rainer's lives -- inner and outer -- and about Anaïs Nin and some of her core relationships. There's also much about the creation of art through living and writing -- including the interconnection of diaries, memoirs, novels and essays. Synchronicity: in the last post -- on James Brown and the American South -- James McBride discussed the use of "masks" by people in order to live in the world. Here, too, Rainer and Nin delve into the same concept, with a Jungian flavor. Who is the inner person, and who is a projection, or is there any difference? (Good question in the Age of Trump). Rainer's description of meeting Henry Miller in 1965 is mordant. Anaïs needed his blessing in order to publish her diary volumes with him in it -- he was all the rage in 1965. His novel Tropic of Cancer, finally published in the USA, had been cleared of obscenity charges by the Supreme Court in 1964. What Rainer saw in Miller, then seventy-five: "When Henry opened the door to his surprisingly conventional white ranch house [in California], I saw a bald troll holding onto a walker, and my heart sank. Anaïs air-kissed his wrinkled, sagging cheeks." And: "His troll eyes twinkled." (page 241). My only wish for any new editions of Apprenticed to Venus: My Secret Life with Anaïs Nin? An index. Wallace Fowlie (1908-1998), with whom I became friends near the end of his life, told many gripping stories about Henry Miller and Anaïs Nin. He knew them both and corresponded with them, but especially with Miller. He was a great correspondent and also sent me several letters, which are now part of the Wallace Fowlie Papers, David M. Rubenstein Rare Book & Manuscript Library, Duke University. It gives me a tingle to note that letters from Anaïs Nin to Wallace are in Box 2 and letters to me from Wallace are in Box 5. Here's a link to the guide. It's a small world after all -- as Tristine Rainer writes about so well. p.s. Anaïs Nin is often thought of as purely French, but her parents were Cuban and she spent much of her life in the USA.